Welcome Autumn! It is the ideal season for the most colourful, elaborate, and unique combinations. You can allow yourself to mix colours, textures, and accessories that usually, during another season, you`d never think of putting together. And when it comes to trends, the equation changes dramatically: each Autumn, a dress is the must-have! Even if the cold starts setting in and the weather becomes unfriendly, it doesn`t mean that you have to give up feminine pieces. Give up on the idea that you have to wear trousers instead of autumnal dresses. The cuts, materials, and colours that our designers picked for this season are varied so you can find your favourite one! Be part of the fashion movement during the new season and choose the perfect dress from our varied range of short or mid-length, straight or an A-line dresses. 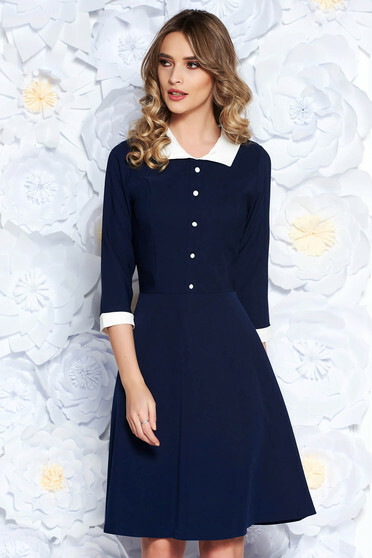 Whether you go for a monochrome dress or a retro inspired one, you cannot fail by picking autumnal dresses from StarShinerS. The it colours of the season are relaxing and nature inspired, and the materials are of impeccable quality and pleasant to the touch! 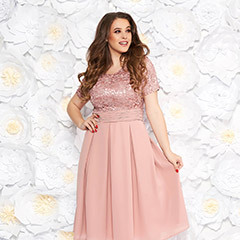 This years` autumnal dresses that you can find on StarShinerS.com match every taste and body type. Choose the perfect one to take part in the trend! Enjoy shopping!